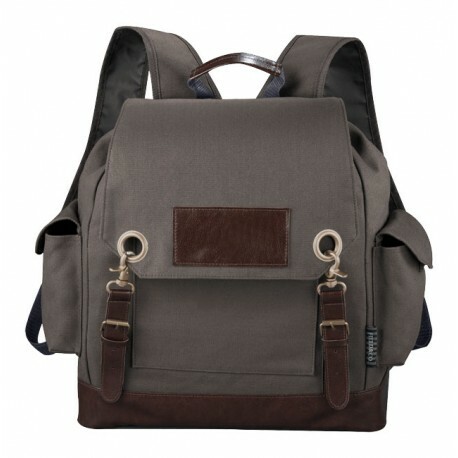 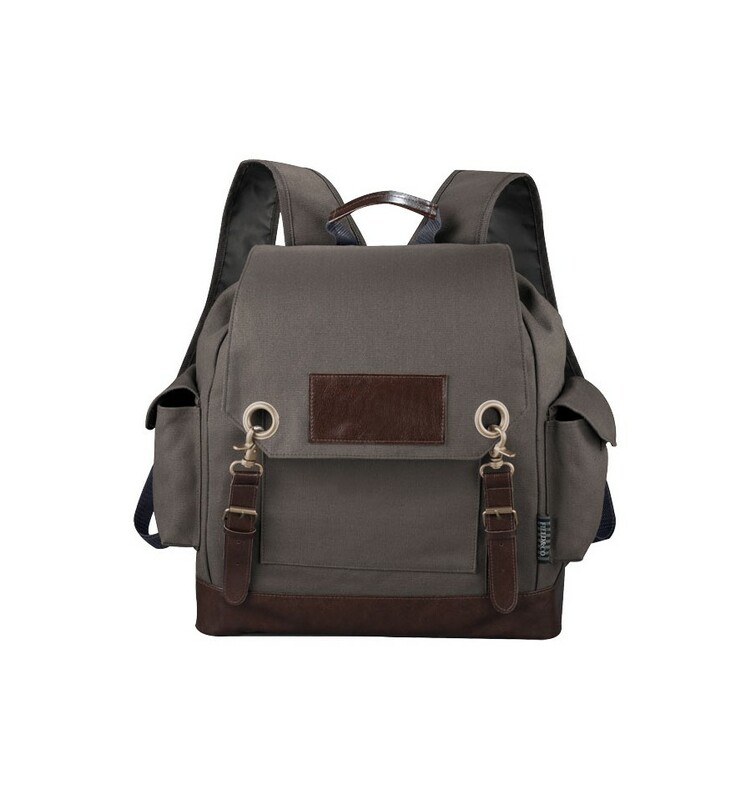 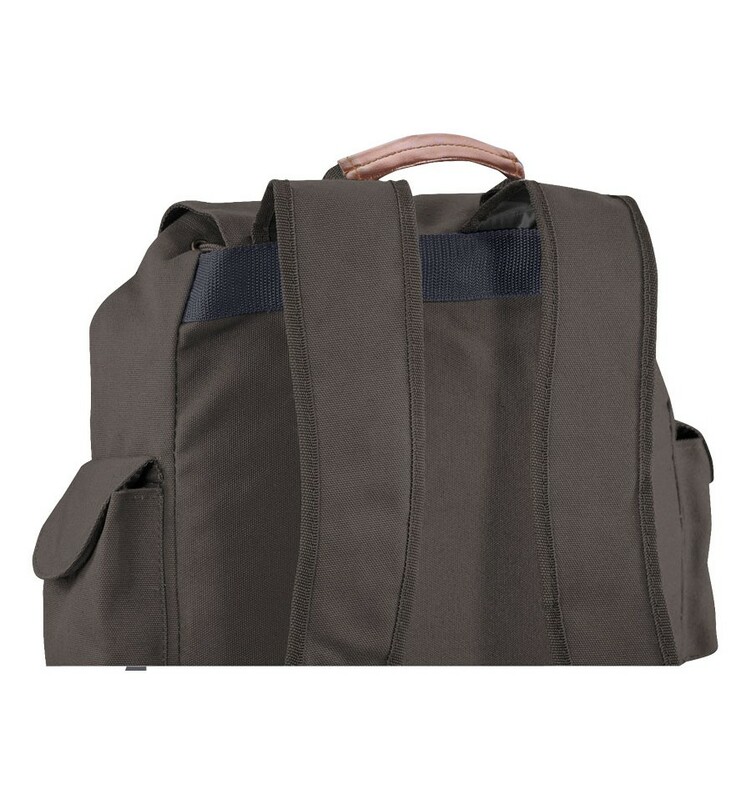 Exclusive design backpack with open main compartment with pull-cord closure. 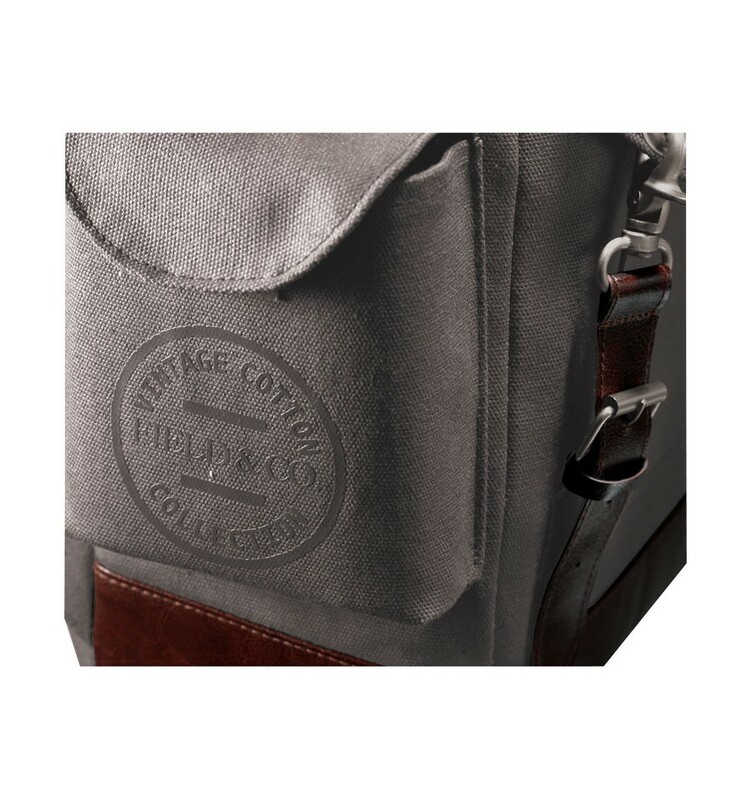 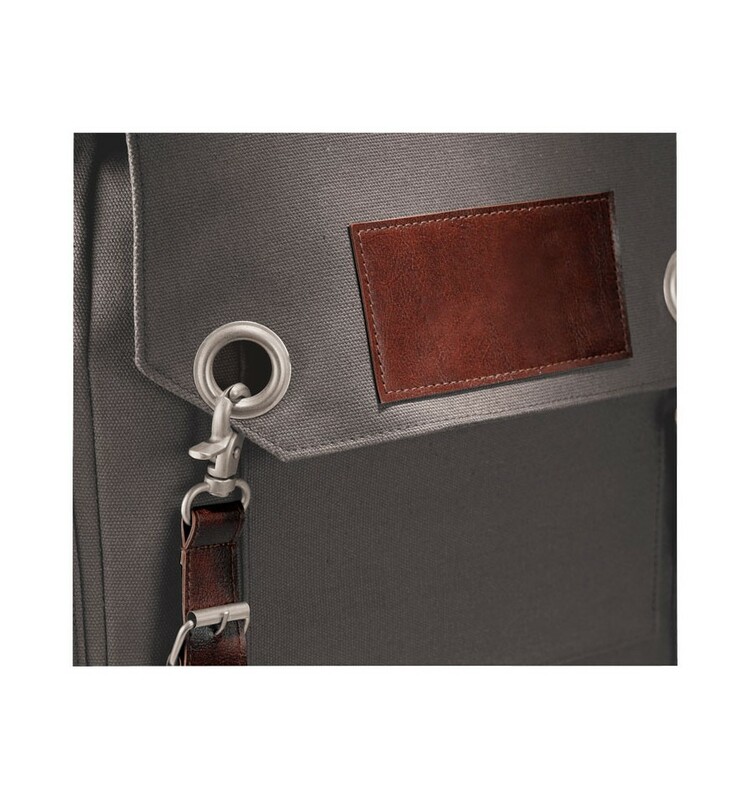 Protective flap closes with distressed silver clasped hardware. 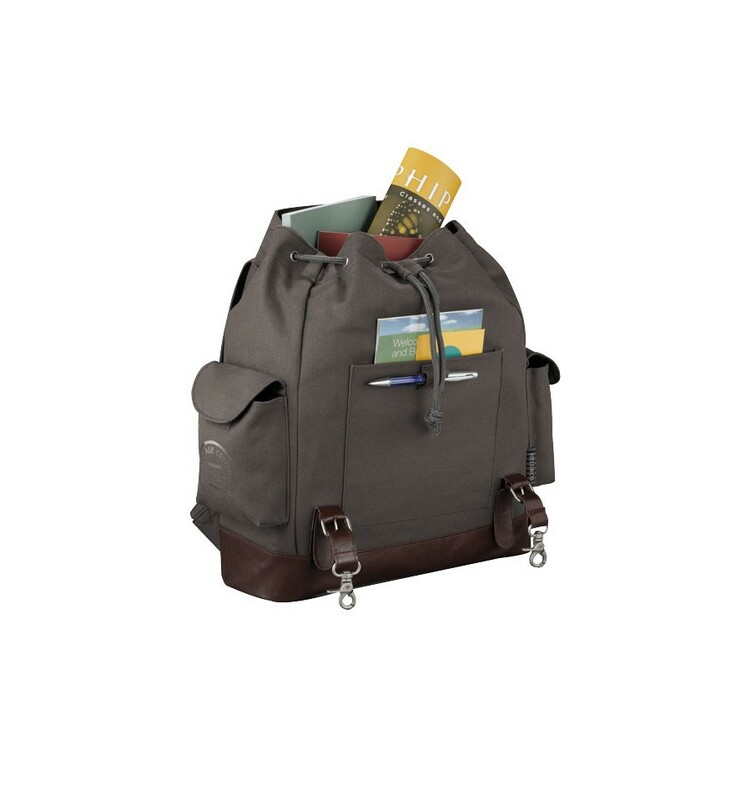 Fold over side pockets with Velcro closures.